A little over three months ago I was on the verge of burn out. I love my work and had used that as an excuse to overwork myself. Afterall, if you love what you do how can you really complain about doing it a lot? Well, of course the lesson of moderation struck me again. November rolled around and I was seeing a whole month go by without a full day off. Not only had I become less tolerant and cranky, but my physical health began to suffer. Most of us realize at some point that if we don’t consciously make the decisions to care for ourselves than our bodies will make it so we don’t have a choice. Luckily, working for myself, I have a fair amount of control over my schedule. Once I recognized what was happening I immediately cut my schedule back. I had to make some extremely difficult decisions to let go of some teaching positions that meant a lot to me. I discontinued the NAMI Yoga program, quit teaching for the Shanti Yoga School, gave up my class at Health & Welfare and cut my Ophidia studio classes by more than half. I cut my work schedule by a third and it was the best decision I have made in years! I was afraid of the financial challenge of working less, but more frightening was the change in my sense of self-identity. Through the first month after cutting back I felt a bit lost and admit to turning to food and television for comfort. The comfort was short-lived and I soon began to embrace my new schedule. All of a sudden I had time to slow down and pay attention to the details of life again. I slowly began to let go of that constant sense of urgency and to breathe a bit more deeply. Sleep became more restful, food tasted better and my creativity began to flow. Three months later and I am feeling alive and strong. I have almost completed a huge collaborative artistic undertaking and feel my sense of self firmly intact. 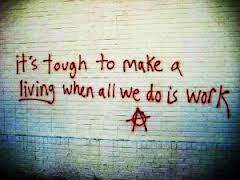 Just like our rituals of spring cleaning and seasonal yard clean-up, so too our professional lives need the cobwebs blown out from time to time. Hopefully it does not always have to mean drastic changes. A light ‘tidy-up’ can sometimes be all that is needed to make a huge impact. I have never failed to gain benefit from revisiting my priorities and making subtle changes to my daily habits. It is the small habits we engage in everyday that end up defining the bigger picture of our lives. 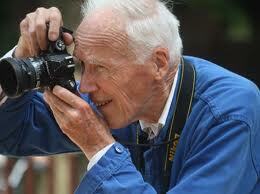 Bill Cunningham is a street fashion photographer for the New York Times. He has such a passion for his work that he is still doing it at age 83. Even if fashion has never interested you, Bill Cunningham will interest you. He is a man who followed his heart (even when people balked him) and lived his passion. I tell you about Bill because I believe he is a shining example of the truest form of yogi, one who lets his spirit and conscience guide his life every minute of every day. I really have not abandoned my blog. It has been over a month since my last post and several months since a big post. I am happy to say I have been busy teaching yoga and performing aerial arts in multiple shows. I love to share via my blog, but have to say momentum really died after 300 posts. Seek always to progress rather than to perfect. Forget your perfect offering. There is a crack, a crack in everything. That’s how the light gets in.